As you may know, keeping your face radiant, hydrated and youthful can be a challenge over 40. This is one of those things that I like least about aging and that is the ever sagging skin and the extra effort we need to go through to look good. To that end, I am a firm believer in good skincare. I still prefer very minimal makeup, so good skincare is key for me to keep my skin looking as best as possible. Emotional health, which is to connect with others and to engage your brain. Isolation causes more rapid skin aging! Internal health: the consumption of the right foods and supplements to meet your skin concerns and eat your water. (Dr. Murad’s recent book The Water Secret: The Cellular Breakthrough to Look and Feel 10 Years Younger is about that). Topical health: to combat the signs of aging on the skin itself through serums and creams. The Hydro-Dynamic Ultimate Moisture day cream is one of their latest products and is an intensely hydrating anti-ageing cream for mature or very dry skin. It’s based on the principle of the science of cellular water, which is focussed on the ability of skin cells to hold water which are therefore better able to fight aging. I have been using this cream for quite a while now and really like it. It provides good hydration and is non-greasy. It has no particular smell to speak of, which I like as well. I like the inclusion of vitamin A, hyaluronic acid and peptide that protects against aging. 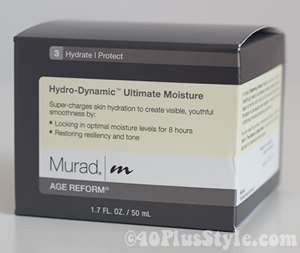 Murad Hybrids™ Skin Perfecting Primer Matte Finish – 1.0 FL. OZ. , light makeup (or a makeup base). Perfect for people like me who don’t really want to use makeup, but still want to smoothen the face a little bit. This product combines both makeup with skincare attributes. 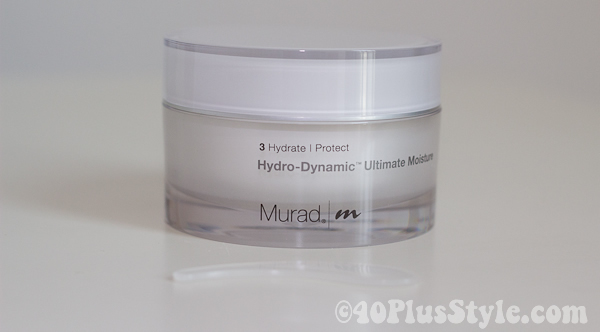 Murad Hybrids™ Eye Lift Illuminator – 0.06 FL. OZ. , to lighten dark circles around the eye. Murad Hybrids™ Eye Lift Perfector – 0.06 FL. OZ. , similar to skin perfecting primer, but then for the eyes. A few Murad promotions that you may find interesting as well. Let me know. Have you ever tried Murad products? How did they work for you? How important is skincare for you? Please note that I did not receive any payment for this article. All opinions are strictly my own. This article does contain affiliate links. This is such a timely article for me. Winter is extremely harsh on my skin. The cold, dry outdoor air and the heated, dry inside air makes it difficult to stay moisturized. I have heard a little about eating water dense foods but did not know there is a book about it. I am interested in reading that. Thank you for the review about the Murad products too. I am always looking for a good face cream. Like you, I would rather have radiant, dewy skin than wear a lot of make-up. It used to be so easy but it gets harder as time passes. I haven’t tried any Murad products yet, mostly I’ve been using Dècleor and md formulations. My problem is that I have combination skin, and most anti-age moisturizers are aimed at dry skin and are usually too rich for my skin’s needs. But I’ll look into the Murad range, thanks for the tip! This product is specifically for dry skin, so probably will not be good for you. MD Formulations is a good brand. Not familiar with Decleor. I’m also quite a fan of Skinceuticals.